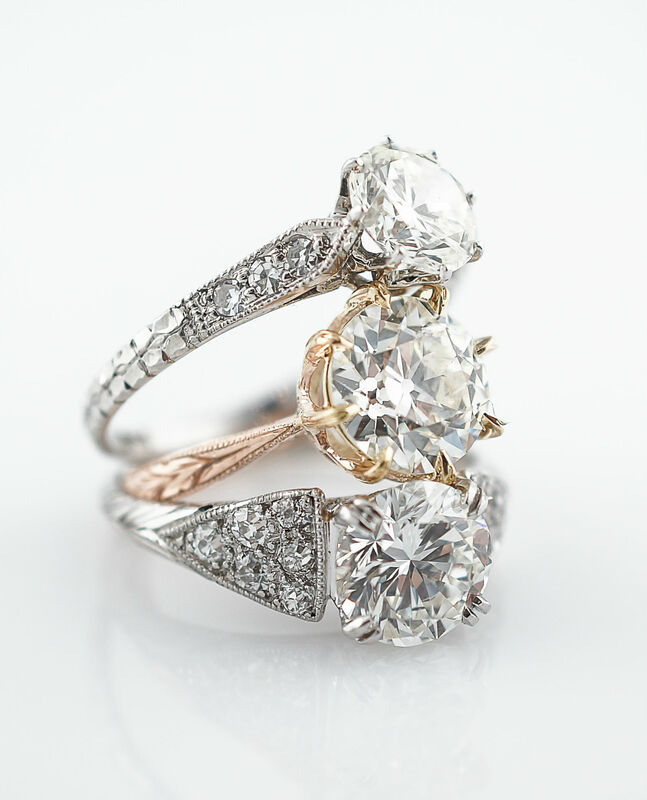 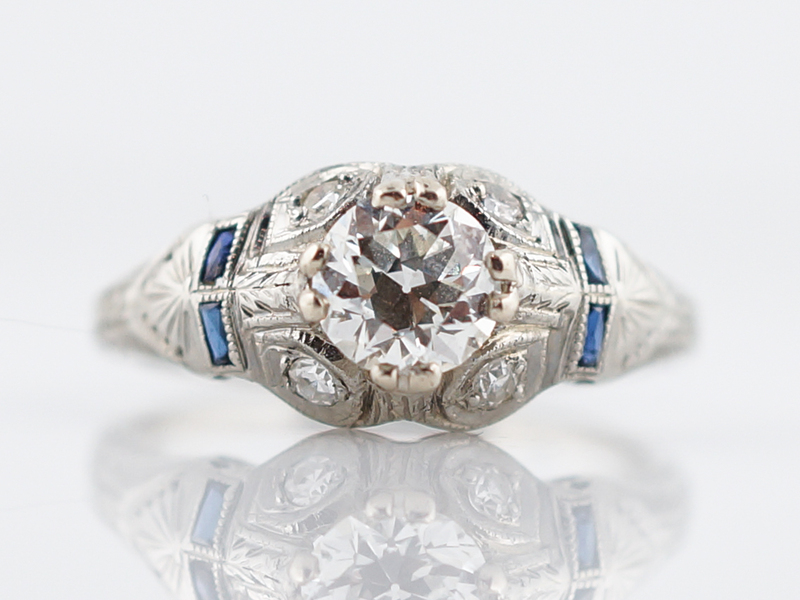 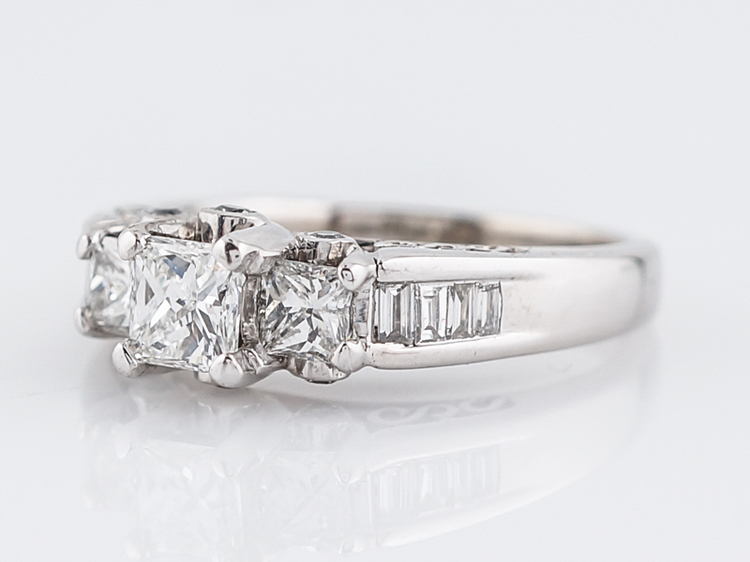 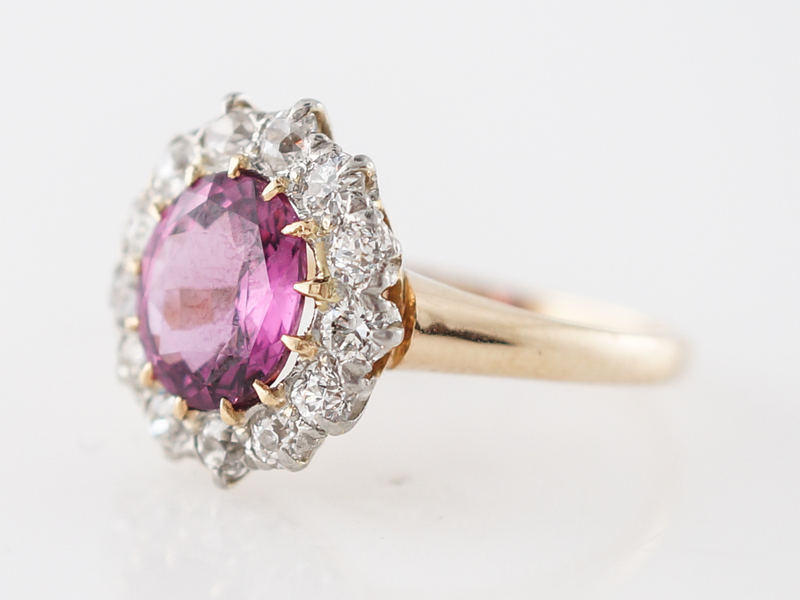 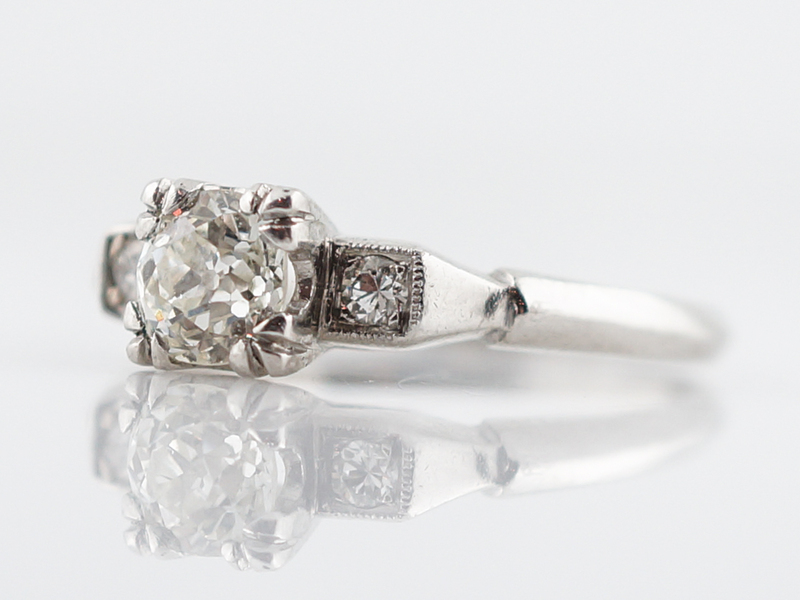 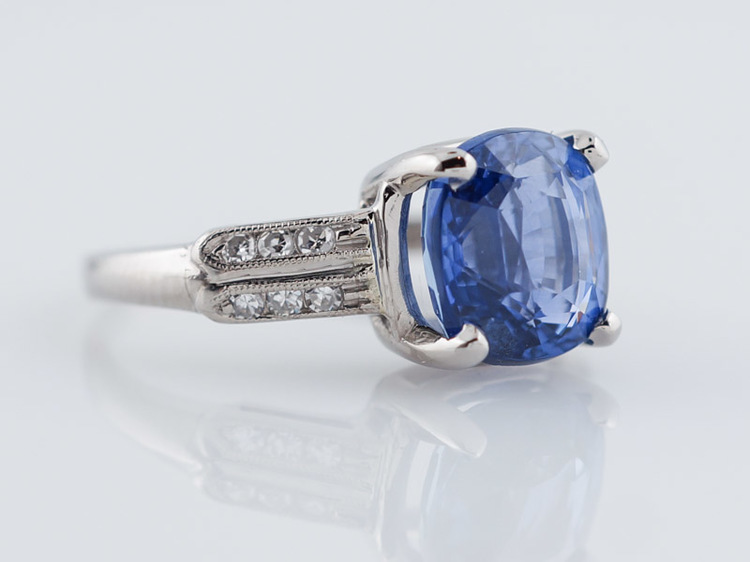 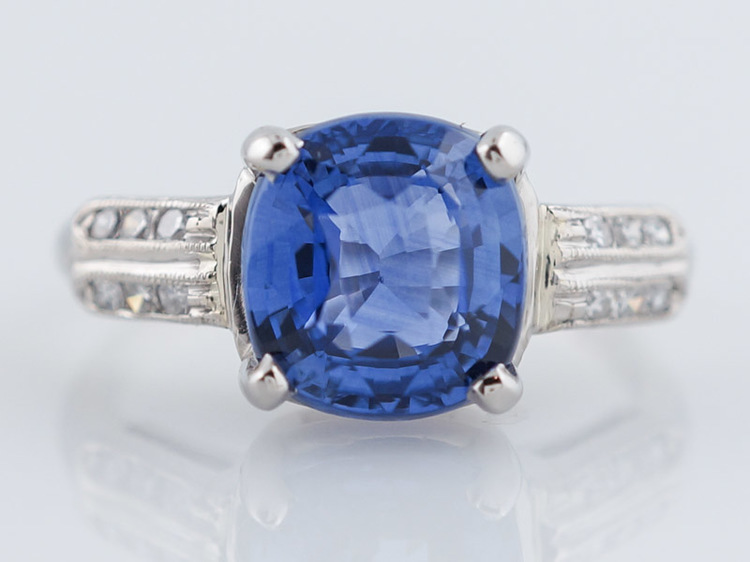 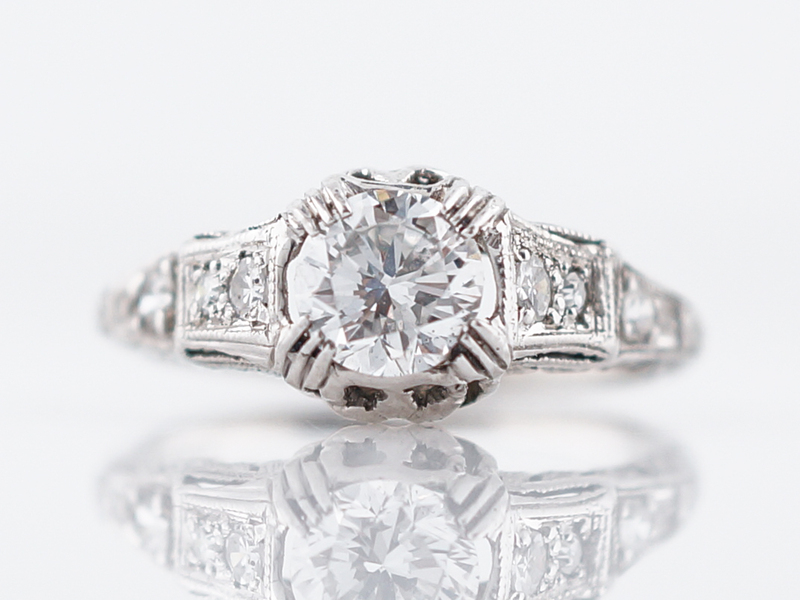 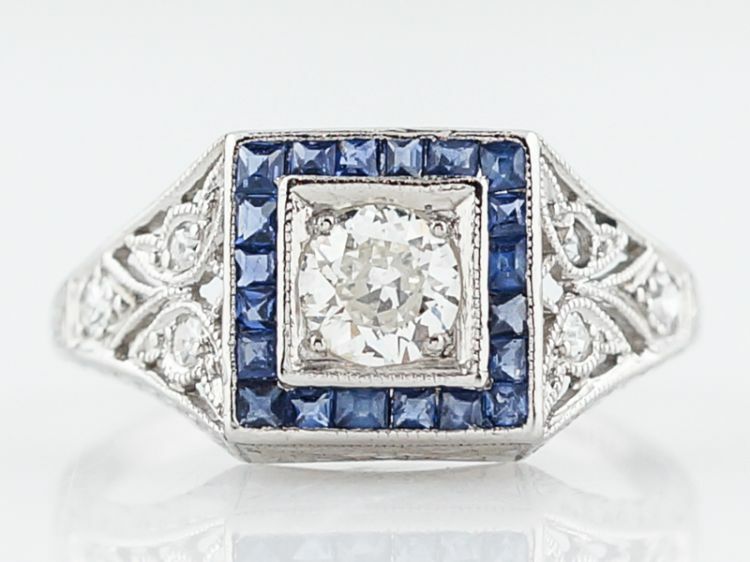 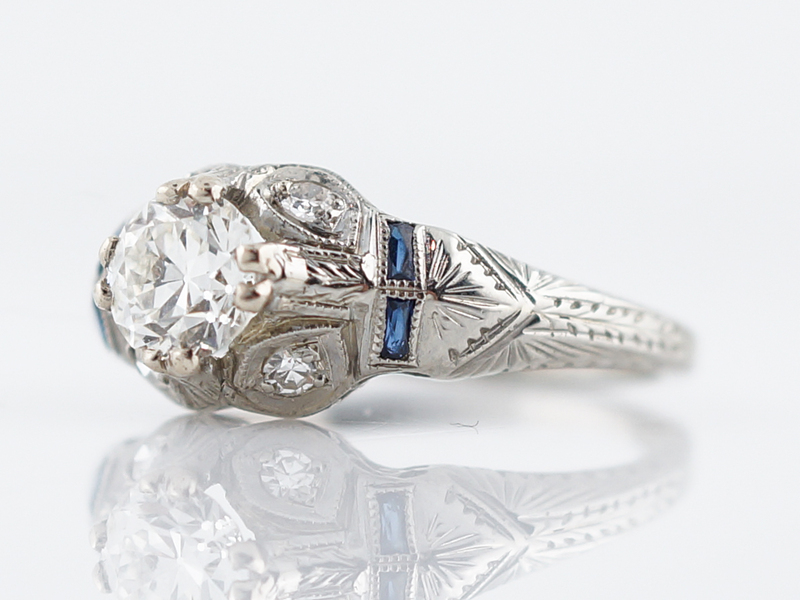 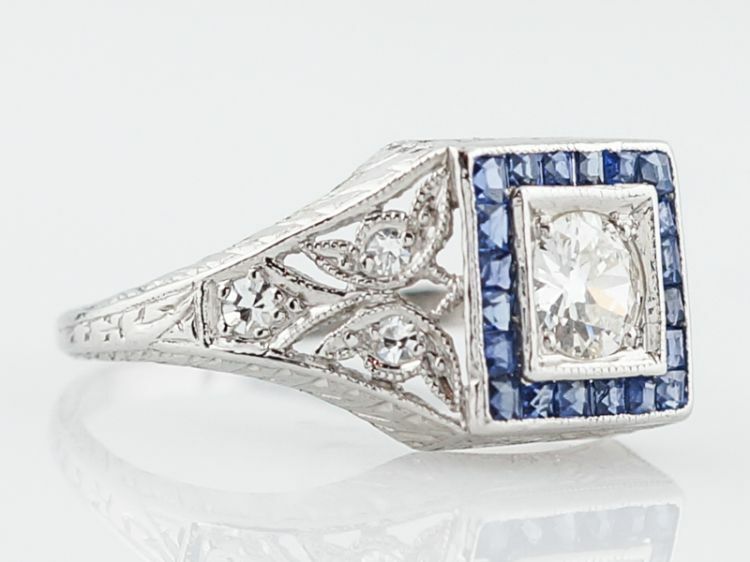 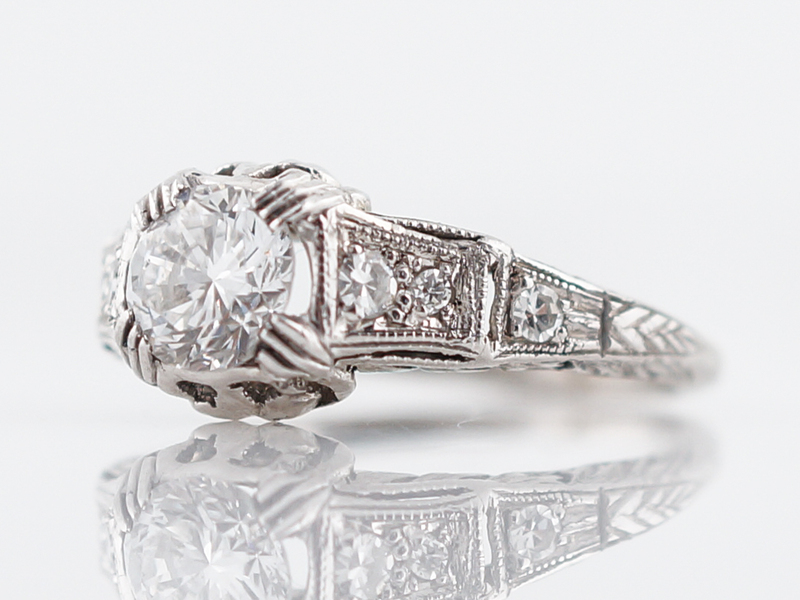 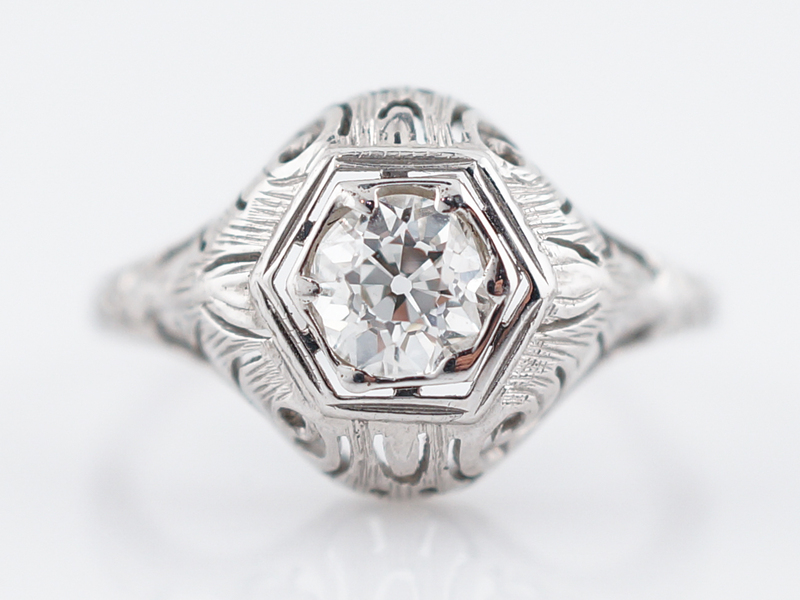 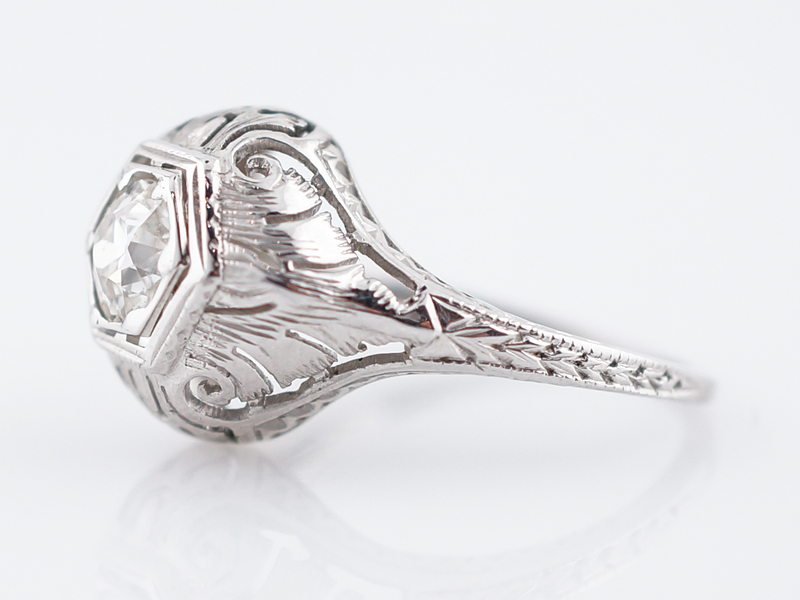 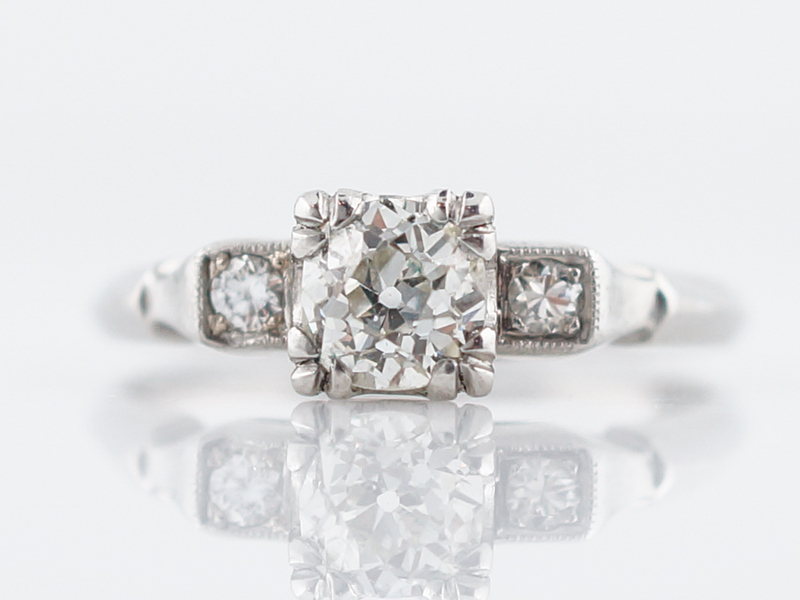 This original vintage engagement ring from the edwardian period is quite special. 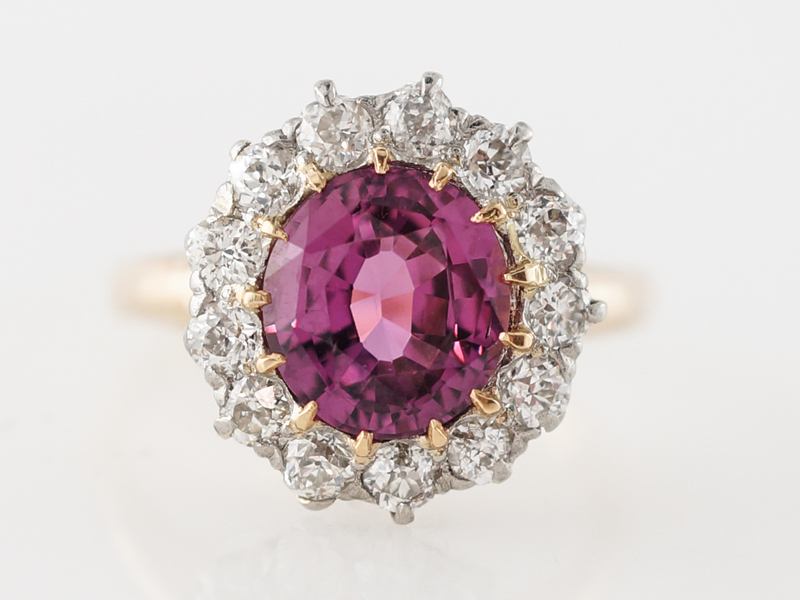 The center diamond is a gorgeous 2.25 carat cushion cut pink sapphire. 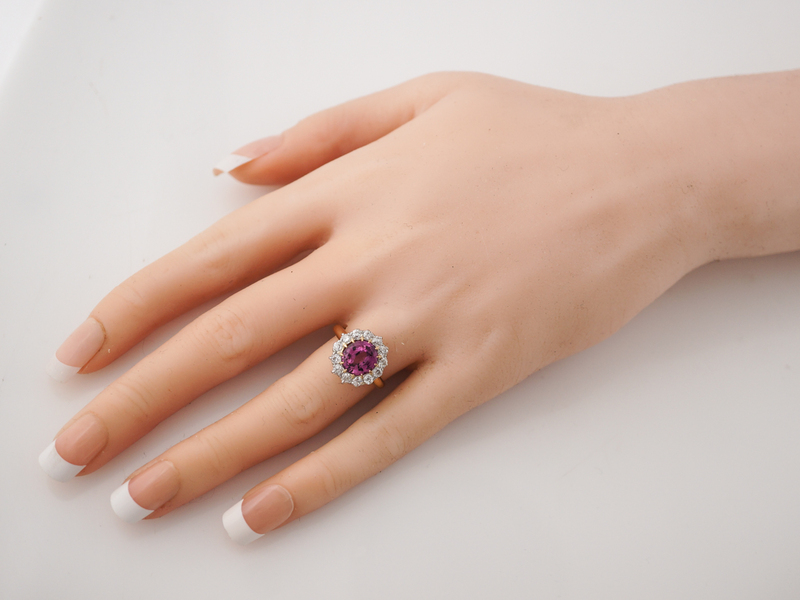 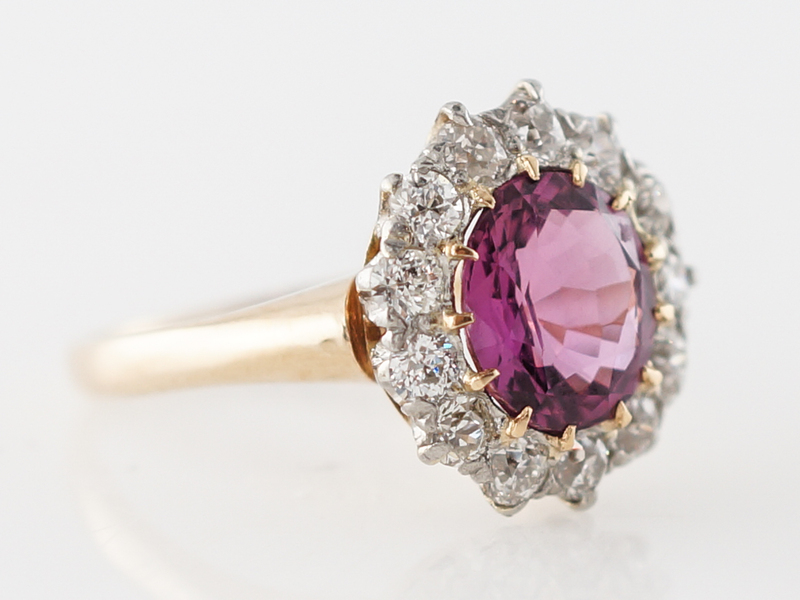 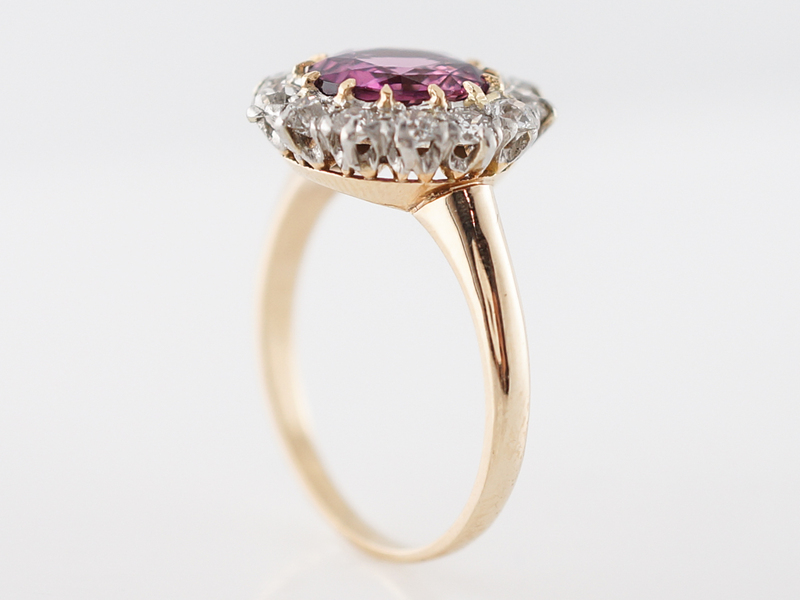 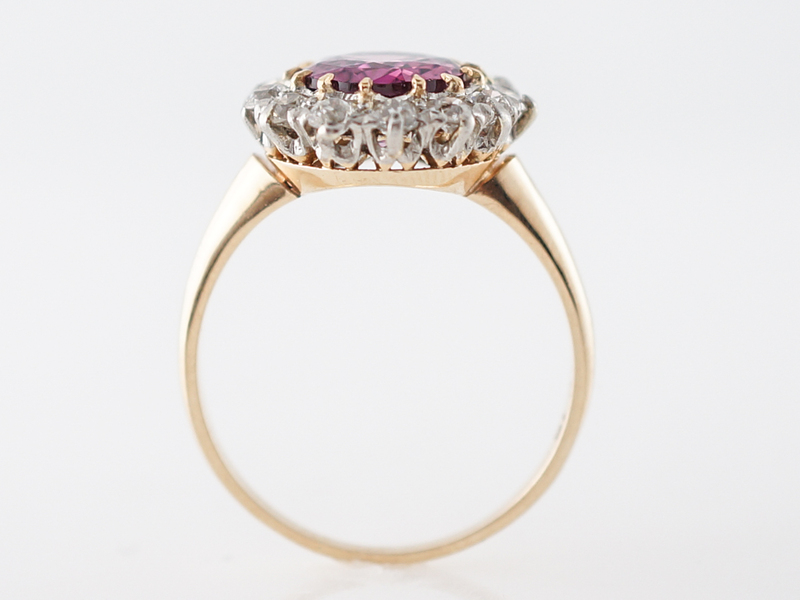 The pink sapphire is surrounded by a halo of old european and mine cut diamonds that provide a wonderful contrast of colors. 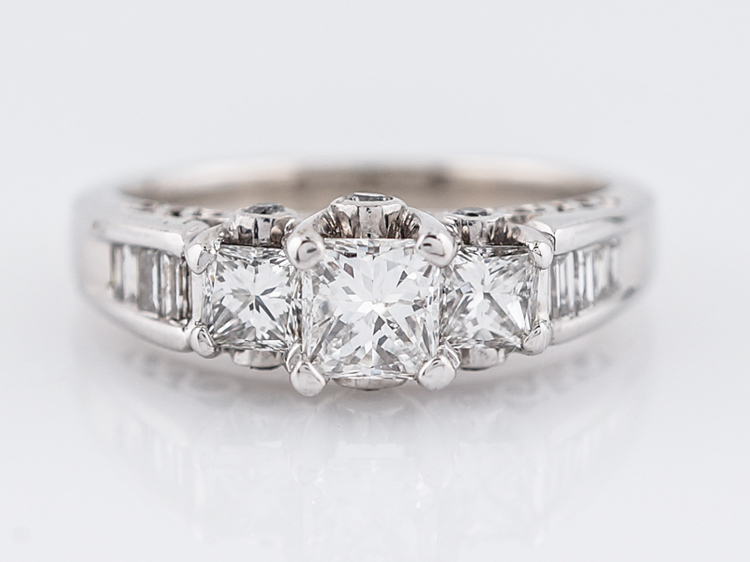 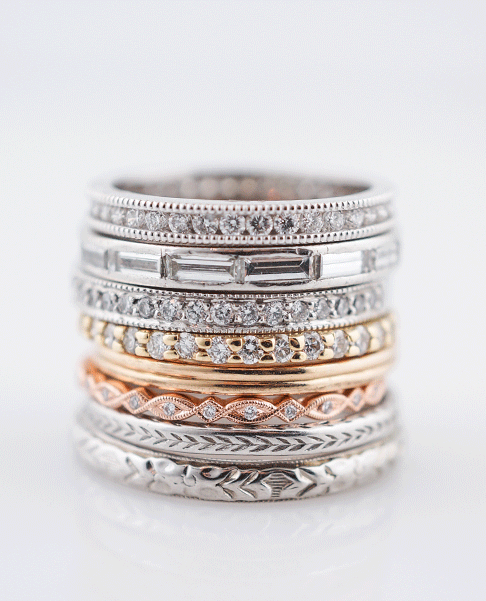 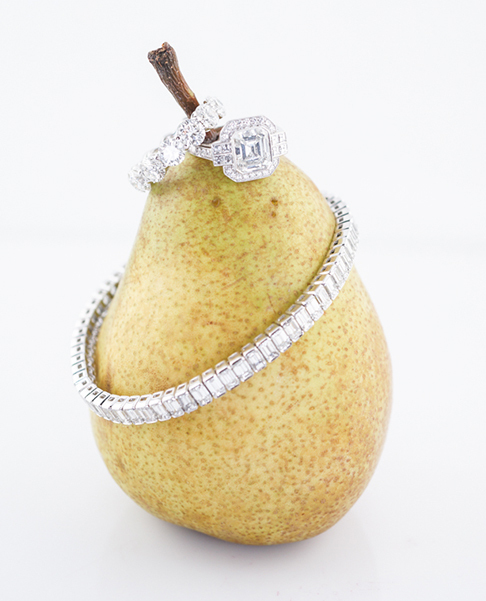 The top half of the ring is finished in platinum, allowing the diamonds to truly radiate their color while the bottom half of the ring is a buttery 14k yellow gold. 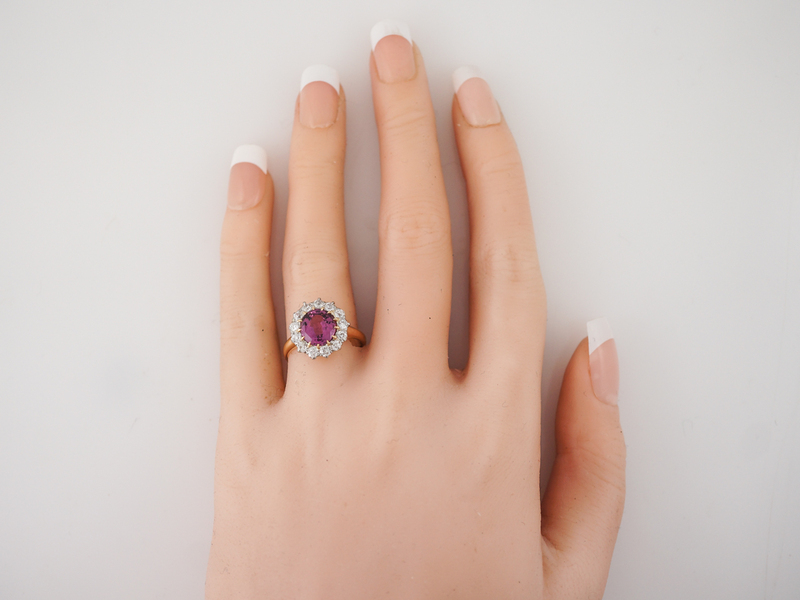 This incredible ring is a wonderful alternative to a diamond center stone and also sits very low on the finger making it very easy to wear.